Phew! Now that I am back home from Spring Quilt Market I decided to give myself one day off to relax before I have to hit the ground running again! So, we decided to go to the beach yesterday. 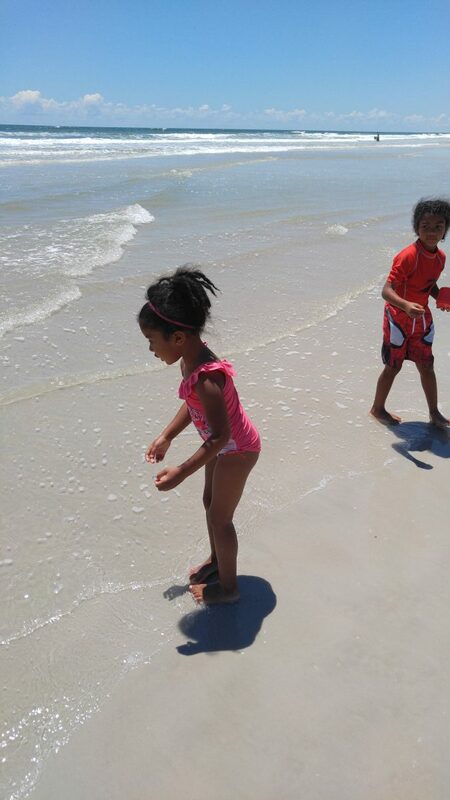 Thankfully, we live less than 2 hours away from both east coast and gulf coast Florida beaches. 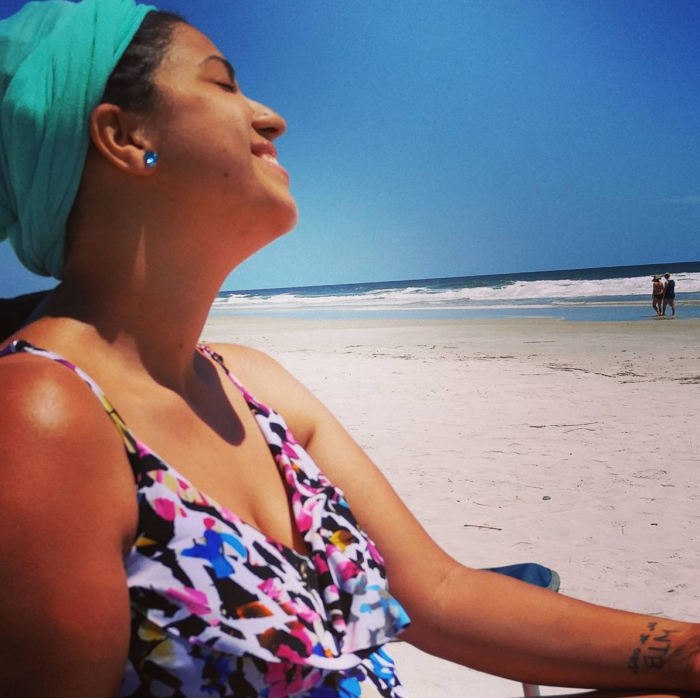 We went to St. Augustine Beach and it was fabulous! Can you tell I’m enjoying a relaxing day at the beach? On our way to the beach I was reading through a brand new book I was itching to crack open. We have local friends who have authored an awesome new book full of fun and educational activities for kids! They have been working hard at this and I am so glad to see it come to fruition! It turned out beautifully and the format is so easy to follow and makes me want to try all the activities with my kids. I was so happy to receive my copy! Most of the games and activities in the book can be done with things you already have at home. That makes it the perfect go-to book for a rainy day, homeschooling fun, a play date, etc. With 100 different things to try this would be an awesome book to give to an expecting parent, or grandparent! The authors of this book are personal friends of mine who have been hosting and attending play dates with me since Juice was a baby (6+ years!) so, I can attest to their know-how and laid back fun way of sneaking in educational topics like reading, writing and math. These girls are the bomb! I’m so glad they put it all into a book so they could share it with the world. 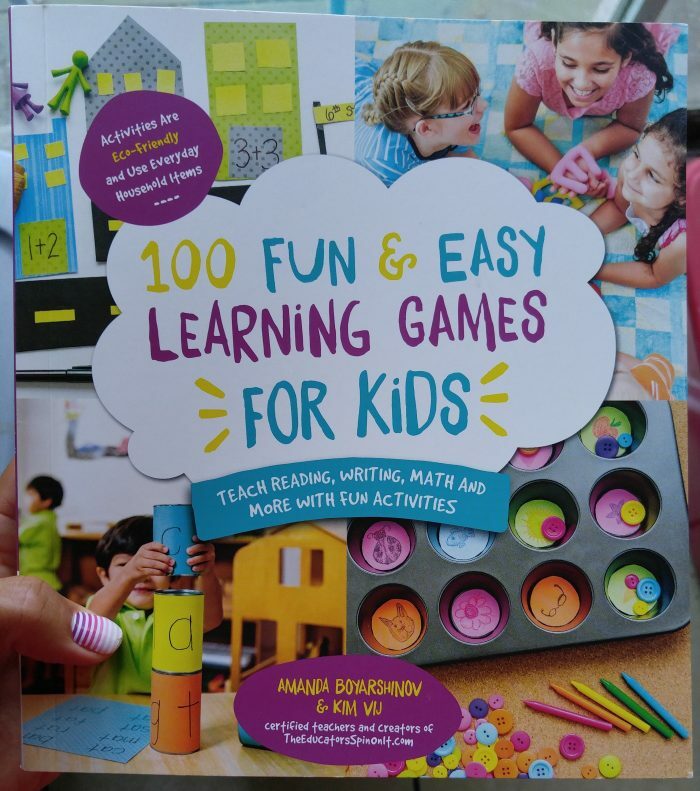 The book is called “100 Fun and Easy Learning Games for Kids: Teaching Reading, Writing, Math and More with Fun Activities” by Amanda Boyarshinov and Kim Vij. <— my friends! They also blog at The Educator’s Spin On It. BONUS: My kids and a bunch of our other friends are actually the models in the book! 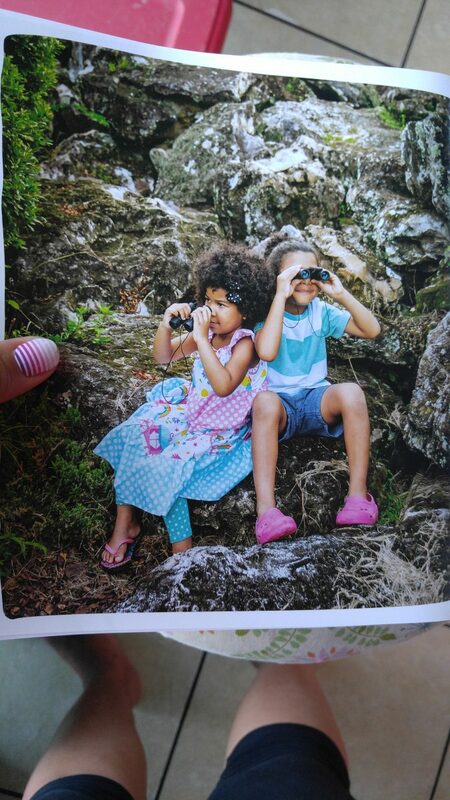 Juice and Allie loved seeing themselves in a real book. So awesome! My sweet babies in their first modeling shoot! So cute! 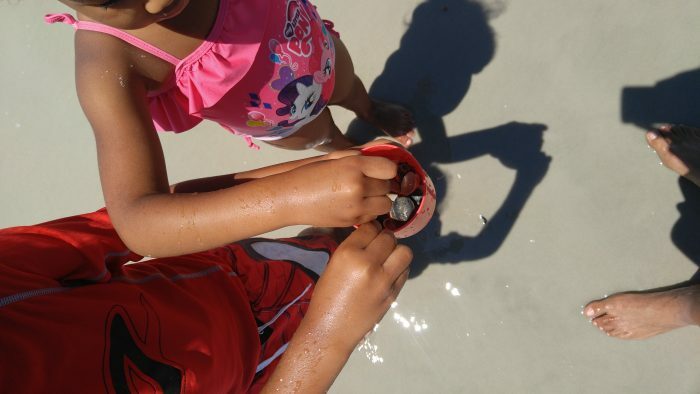 After reviewing the book with the kids we decided that this beach trip would be the perfect opportunity to collect some seashells and use them in the seashell activities featured in the book! So fun! 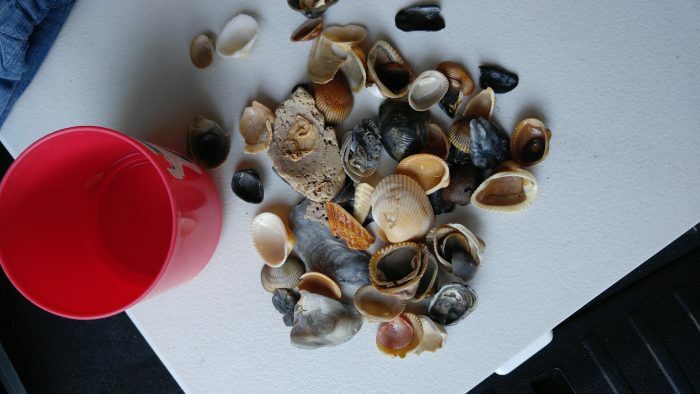 So, while I got to relax under the sun the kids were on a mission to collect a bunch of shells. And that they did! Juice and Allie at St. Augustine Beach collecting seashells. Juice and Allie working hard collecting shells! Our seashell collection for the day! Aren’t they pretty?! Now we are off to play some fun games from our new book! 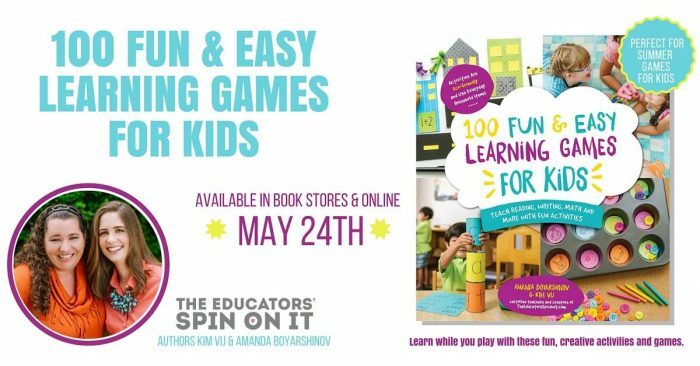 If you are in need of some fun and educational games to play with your kids or grandkids this summer you should totally grab a copy of this book. Your work is amazing and inspirational. Your babies are absolutely beautiful. God has blessed you tenfold. All of you look so happy and relaxed. What a beautiful family. Your girls are so adorable! !